hd00:33Time lapse: Silhouette of Kuala Lumpur city view during dawn overlooking the city skyline from afar with lushes green in the foreground. Full HD. 4k00:09Beautiful time lapse during sunrise/sunset scenery with motion of cloud and sky at Kuala Lumpur skyline or skyscraper. Tilt down timelapse motion. UHD 4k. 4k00:13KUALA LUMPUR, MALAYSIA - 25th FEB 2018; 4K Time lapse of majestic sunrise over downtown Kuala Lumpur, Malaysia. Zoom In. 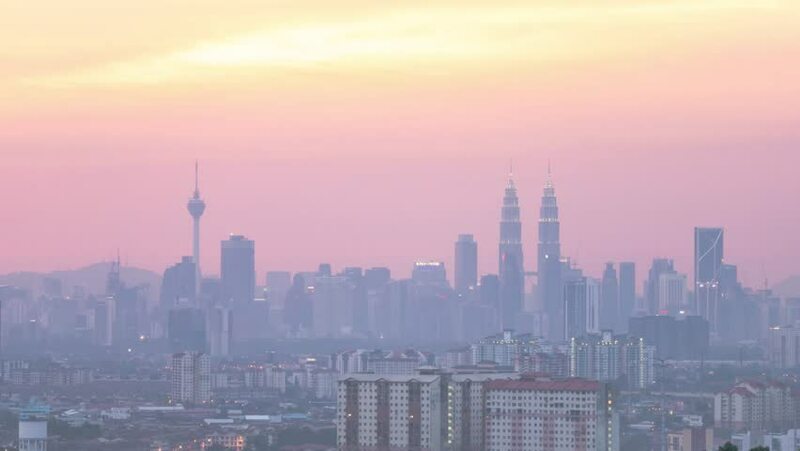 4k00:10Time lapse of beautiful sunrise at Kuala Lumpur city skyline.